There's nothing quite like being at the center of a major city. According to the Integrated Postsecondary Education Data System (IPEDS), in 2013, over five million students attended 1,835 colleges within urban centers. Students flock to urban colleges for the sense of adventure; the city becomes the campus, and there's always something new and exciting to get into. Metropolitan areas offer unrivaled diversity of experience. Best of all, students' proximity to countless industries allows for easier access to the career world of their choice. When students attend an urban college, everything they could ever need is just outside their door. Located in the heart of the Big Apple, Columbia’s Upper West Side home is a student’s dream. It stands as one of the nine Colonial Colleges founded before the Revolutionary War, and many of the existing buildings serve as architectural proof of the institution’s long history. Today the Ivy League university serves nearly 24,000 students at all academic levels. Applicants should keep an eye on their GPAs and ACT/SAT scores: of the nearly 33,000 applicants for the class of 2019, 6.10% were admitted, making it the third most selective school by admission rate in the nation. Campus-owned or affiliated housing is a big draw for students: currently 94% of the student body live in the nearly 8,000 apartments and two dozen undergraduate dormitories. In 2014, Times Higher Education ranked Columbia as the 14th best university in the world. U.S. News & World Report is a big fan of CC, ranking it the #4 National University, #1 for High School Counselor ratings and #6 in Best Value Schools. Located in the leafy Chicago neighborhoods of Hyde Park and Woodlawn, University of Chicago provides students with a beautiful urban setting only seven miles south of downtown Chicago. This private research institution attracts students from across the globe: international students alone make up 19% of the student body, while 26% of overall students identify as members of ethnic minorities. And over 50% of students elect to live in campus-owned housing, which is guaranteed to every student. The university was recently selected as the future site of the Obama Presidential Center. Times Higher Education selected UC as the 11th best higher education institution in the world. Over 25% of enrolled students selected a social sciences related major. Founded by Benjamin Franklin, the University of Pennsylvania has provided an Ivy League education for 275 years. In addition to being the oldest university in the nation, UPenn also opened the first schools of medicine and business. Taking up 280 acres within West Philadelphia, the institution’s 25,000 undergrad and postgrad students attend classes in the heart of one of America’s most historic cities. Just over 12% of 2014-15 applicants received admissions, taking up studies in popular areas of business management, social sciences, engineering, biomedical sciences and history. UPenn draws students from across the world: of international students in the class of 2018, 15% are from Africa and the Middle East, 43% from Asia, 3% from Australia and the Pacific, 15% from Canada and Mexico, 5% from Central and South America and 20% from Europe. QS World University Rankings gave UPenn the #13 slot in its 2014/15 tables. UPenn maintains a nearly equal gender distribution ratio; 54% of all students elect to live in campus owned or affiliated housing and dormitories. Located in Music City USA, Vanderbilt is a renowned private research university situated moments away from the city’s iconic Music Row. With an acceptance rate of 12.6%, the university is highly selective. Over 12,000 students hailing from all 50 states and more than 90 countries undertake degrees offered by four undergraduate and six graduate and professional colleges. The top five areas of study are economics, interdisciplinary studies, social sciences, mathematics and political science and government. While all incoming freshmen are required to live on campus, overall 86% of the student body choose to live in campus-owned housing. Princeton Review gave Vanderbilt the #1 spot for Colleges with the Happiest Students, while U.S. News & World Report ranked the school the #16 best institution in the nation. Students can take advantage of 500+ student clubs and 26 Greek organizations in addition to plenty of nearby options for restaurants, shopping, entertainment and a constant stream of live music. 64.8% of undergraduates receive some form of financial aid. Located in our nation’s capitol, Georgetown overlooks the Potomac River, providing a bird’s-eye view of the nearby downtown. The private research institution is particularly popular with students looking to gain degrees in the social sciences: 33% of the current student body is enrolled in a related area of study. Other popular degrees include business, English language and literature, health professions and foreign languages. The university maintains excellent connections with many governmental, business and educational institutions in the city, providing opportunities for internships, research assistantships and other real-world experience for students. The university enrolls over 17,000 students in all degree levels yet maintains a student to faculty ratio of 11:1. U.S. News & World Report ranked Georgetown #21 in their list of Best National Universities for 2015. Of the nearly 7,700 undergrad students at Georgetown, 64% choose to live in university-owned housing or dormitories. Located on a 295-acre campus in Houston’s museum district, Rice University is a private research university consistently ranked in the top 20 postsecondary institutions in the nation. Although distinctly urban, the campus is heavily wooded and has many green spaces. Over 6,500 students take advantage of courses available through 11 colleges and eight academic schools, with top studies in biochemistry, chemical engineering, psychology, economics, and electrical engineering. Nearly 75% of Rice’s undergraduate population lives in residential colleges, which form a significant part of the student experience. RU is a highly selective school: for every 19 applicants, one is accepted at the institution. Forbes ranks Rice #32 on their annual list of top colleges in the nation, while U.S. News & World Report gave the university the #19 slot. Rice places great emphasis on the student experience, providing a 6:1 student to faculty ratio. It’s no wonder freshmen retention sits at 96.5%. Since 1889, Barnard College has been operating as a private liberal arts college catering exclusively to female students. The school is affiliated with Columbia University and is in the same Upper West Side area of Manhattan. The college is the most selective female-only postsecondary institution, admitting approximately 20% of all applicants. Barnard provides baccalaureate level degrees to nearly 2,500 students, 91% of whom opt to live in campus-owned housing. 27% of students study a social science, with 14% majoring in psychology, 12% in English language and literature, 11% in visual and performing arts and 9% in biological and biomedical sciences. Classes at Barnard are kept small, with 73.1% having less than 20 students. 95.8% of students elect to continue at BC after their first year. U.S. News & World Report gave BC the #32 slot on their list of Best National Liberal Arts Colleges. 39.7% of full-time undergraduates receive need-based financial aid; the average grant or scholarship award totals $37,136. Spread throughout Charm City, Johns Hopkins has a number of campuses dotted around town. Three main Baltimore campuses house the schools of arts and sciences, engineering, education, medicine, public health, nursing, business and music, while campuses in Washington D.C. and further afield in Maryland have further studies. The school has over twice as many postgraduate students as those seeking baccalaureate degrees; as the first research university in the nation, the institution has a long and distinguished history of providing excellent specialized studies. Times Higher Education ranks JHU as the #15 best university in the world. The National Science Foundation gave JHU the #1 spot for the 35th year in a row for leading the charge in the U.S. for higher education research spending. The average student to faculty ratio is 10:1 at JHU, leading to a freshmen retention rate of 96.8%. The University of Southern California has its main campus in the heart of Los Angeles. As the oldest private research university in the state, USC has a long list of respected and successful alumni. The current student body of 43,000 has a slightly larger postgraduate population and an overall acceptance rate of 19.8%. The institution maintains professional ties with many California-based ventures, providing excellent research, internship and real-world opportunities for both students and alumni. And It’s not just Americans who aspire to study at USC: 23% of students are from a country outside of the United States. U.S. News & World Report ranked USC #25 in its 2015 list of best national universities, while the Academic Ranking of World Universities named the school as the 46th best in the world. 41% of full-time undergraduates receive need-based financial aid; the average grant or scholarship award is $30,650 annually. Thanks to the volume of options for housing in Los Angeles, only 33% of the student body elects to lives in campus-owned facilities. Located in the mountains of Colorado, CC attracts students from around the nation and worldwide. The institution employs a unique educational approach, known as the Block Plan, where students take one class for approximately 24 days of intense study. Students then have a four day break before diving into their next class. Currently over 2,000 students are engaged in this type of learning, with top areas of study including sociology, biological sciences, economics, environmental science and fine/studio arts. Campus is an intriguing mix of new and old, with buildings dating from the 19th through 21st centuries. Forbes ranked CC as the top private university in Colorado and 51st in their list of America’s Top Colleges. 38% of students receive need-based scholarships or grant awards, averaging $33,409 per academic year. Current students love the campus-provided housing around the institution; over 76% elect to live in college-owned residences rather than independently. Located in the Westwood area of Los Angeles, UCLA is a well-recognized public research institution that today caters to over 43,000 students. The university receives the most applicants of any university in the nation, with over 112,000 hopefuls in the most recent academic year. 95% of freshmen live in university housing, while overall 39% of the student body take advantage of campus-owned residences. With 337 undergraduate and postgraduate degree programs available, it’s no wonder so many students call UCLA home. Times Higher Education ranks UCLA 12th in its World University Rankings, while Washington Monthly gave the school the 5th slot for best school in the U.S.
55.3% of full-time undergraduates receive a need-based grant or scholarship, the average amount being over $18,000 annually. Despite its large size, the university maintains a student to faculty ratio of 17:1, with over 50% of classes having fewer than 20 students. Established in 1900 by philanthropist Andrew Carnegie, Carnegie Mellon University sits three miles from downtown Pittsburgh and is near to the Carnegie museum, library and music hall. More than 13,000 students are divided into seven colleges and schools, with top degree programs ranging from science, technology and business, to public policy, humanities and the arts. Times Higher Education ranked CMU 24th in its World University Rankings for 2014-15. 39% of students elect to live in college-owned or affiliated housing, with others spread around the surrounding neighborhoods. Nearly 49% of full-time baccalaureate students receive grant or scholarship awards, averaging out to $27,778 in 2014. Since opening its doors in 1831, New York University has become the largest private institution for higher education in the United States. The school’s main campus is in Greenwich Village, with further global campuses spread across the globe. International students also come directly to the Big Apple to study: approximately 20% of NYU’s 54,000 students are from outside the U.S. The campus is truly urban, with no distinctions between where NYU ends and the city streets begin. Faculty honors at NYU include four Nobel and Crafoord prizes, five Pulitzer Prizes, 11 MacArthur Fellowships, seven Lasker Awards, three Abel Prizes, and 68 elections to the American Academy of Arts and Sciences. U.S. News & World Report places NYU in the #32 slot for Best National Universities. The top five degree programs are visual and performing arts, social sciences, business, liberal arts and sciences and health professions. Located in the state’s capital, UT Austin is considered a "public ivy," meaning it is a publicly funded higher education institution that provides a similar academic experience as Ivy League schools. It has the fifth largest enrollment in the nation, consisting over more than 50,000 students undertaking degrees ranging from bachelor’s to doctoral level. The campus is spread over nearly 15,00 acres, with seven museums and 17 libraries housed throughout. Popular areas of study include business, communication and journalism, engineering, social sciences and biological and biomedical sciences. Kiplinger’s Personal Finance ranks UTA as the 14th best-value for public colleges, while Times Higher Education gives the school the #28 spot in World University rankings. With so many cool surrounding neighborhoods, only 18% of the student body elects to live in campus housing. 45% of full-time undergraduates receive financial aid of some form. In 2014, the average need-based scholarship or grant award was $8,713. Yeshiva University is a private school that’s been in operation since 1886. The school’s main campus is in Washington Heights, with three other campuses in Manhattan, the Bronx and Queens. YU also has a campus in Israel. The current student body is composed of under 7,000 undergraduate and postgraduate students, many of the latter drawn by the school’s highly ranked medical and law programs. Other popular programs include biological sciences, psychology, business administration and management, accounting and social sciences. U.S. News & World Report ranks YU as the 47th best National University; the Albert Einstein School of Medicine was given the 38th slot for its research. 69% of students elect to live in campus-owned housing, with the remaining 31% spread out in neighboring areas. Individualized education plays a big role at YU: the student to faculty rate is kept to a low 6:1. Students attending George Washington University are placed in the center of our nation’s governmental, political and legal forces. Since 1821, the institution has prepared students to be leaders in their fields and today more than 20,000 students from all 50 states and over 130 countries come to GWU for their educations. Undergraduate students are required to live on campus their first three years, leading to an overall student population of 66% residing in university-owned housing. Students seem to love their time at GWU: the average freshman retention rate is 93%. The top five degree areas are social sciences, business, health professions, psychology and communication. The Princeton Review ranks GWU as the number one school in the nation for producing the most politically active students and for the top internship opportunities. 46.4% of full-time freshmen receive need-based financial aid. In 2014-15, this amount averaged $29,879. With a main campus located in the heart of The Big Easy directly opposite Audubon Park, it’s no wonder over 13,000 students choose to attend Tulane University. A mix of Renaissance, Romanesque and Modern architecture line the 110 acres of the institution’s central location, while students can also take advantage of four additional campuses in the city and satellite campuses across the globe. 22% of students are enrolled in a business, management or marketing related degrees, while other top areas of study include the social sciences, biological and biomedical sciences, psychology and health professions. The university provides ample housing opportunities, and 43% of the student body elects to take advantage of these residences. U.S. News & World Report gave Tulane the #54 spot on their list of Best National Universities. Average tuition and fees total $48,305 and 37.8% of full-time undergraduates receive need-based funding. In 2014-15, the average amount was $28,316. Baruch College is part of the City University of New York (CUNY) system, located in the Gramercy Park area of Manhattan. With studies available in undergraduate, master’s and Ph.D levels, nearly 17,000 students elect to enroll in the business, arts and science and public affairs colleges at the institution. Academic buildings are peppered throughout the neighborhood, providing students with a truly urban learning experience. Popular areas of study include finance, accounting, sales, distribution, business and corporate communications and psychology. U.S. News & World Report has ranked BC as the most ethnically diverse institution in the nation for seven consecutive years. 64.8% of full-time undergrads receive funding on a need basis; the average grant or scholarship totals $5,055 annually. Despite its larger size, BC keeps a low student to faculty ratio of 16:1. Students enrolled at Macalester have access to the Twin Cities, providing them with a host of professional, social and cultural opportunities. The college caters to just over 2,000 undergraduate students. As of 2013, attendees hailed from all 50 states and 90 countries, giving it one of the largest populations of international students for any postsecondary institution in the nation. Students don’t just come from afar to attend: over 60% of students study abroad for at least 12 weeks. 26% of students are enrolled in social science-related degrees, with other top programs including biological and biomedical sciences, foreign language and literature, interdisciplinary studies and English language and literature. Students are required to live on campus their first two years of study; overall, 64% of the student body lives in university-owned housing. Nearly 70% of full-time students receive financial aid packages based on need. The average amount for 2014-15 was $33,663. The Lincoln campus of this public research institution serves as the largest and oldest member of the University of Nebraska system. Founded in 1869, the school has built up an international reputation for preparing leaders in their fields of study. Over 24,000 students learn at two campuses within minutes of downtown Lincoln, the most popular majors being business, management and marketing, engineering, family and consumer sciences, agriculture and education. UNL is a leader in agricultural science research, with over 1,000 academic papers published within a decade. Academic Ranking of World Universities ranked UNL in the top 78-104 postsecondary institutions in the world. 39% of students live in campus-owned housing, while the remainder call the neighboring areas home. In 2014, the student to faculty ratio held at 21:1, while over 40% of classes had fewer than 20 students. Located in the heart of New Orleans, students attending Southern University have access to a city filled with cultural diversity, history and plenty of activities outside the classroom. Founded as a historically black university in the 1950’s, today SU serves nearly 2,000 students out of its four colleges and school of graduate studies. Top programs include criminal justice, psychology, health information, business and public administration. In addition to the many opportunities in this urban setting, students also have access to over 30 student organizations and clubs. U.S. News & World Report ranks SU in its list of Best Colleges in the South (tier two). 61% of incoming freshmen continue studying at Southern after their first year. Whether a Louisiana resident or arriving from further afield, all students pay the same rate for tuition and fees. Founded in 1898, Northeastern is a private research university stretching across multiple neighborhoods in central Boston. With over 24,000 student enrolled, the institution also has other satellite campuses throughout the state. The school has a cooperative education program that allows students to combine traditional classroom-based study with professional experience. Programs are available on all seven continents, with nearly a third of students participating. Top areas of study include business and management, health professions, engineering, social sciences and communication and journalism. U.S. News & World Report gave NU the #42 slot in their Top National Universities category. The school is considered very selective, accepting less than one third of all applicants. Once admitted, 95% of freshmen elect to continue at NU into their second years. 38.4% of full-time baccalaureate students receive need-based financial aid, averaging $20,047 annually. Georgia Institute of Technology, or GIT, is located in a bustling area of Atlanta, yet provides a peaceful, tree-lined campus for more than 23,000 enrolled students. The school was founded in 1885 and much of the architecture reflects the school’s long and distinguished history. Today the school has six colleges and over 30 departments, with 58% of students enrolled in an engineering-related degree. Other prevalent areas of study are business, computer and information sciences, biological and medical sciences and interdisciplinary studies. Times Higher Education ranks Georgia Tech as the 27th best university in the world. 52% of students elect to live in campus-owned housing, while 48% are spread across Atlanta in private accommodations. 43.1% of students receive financial aid if they are full-time undergraduates; the average amount for 2014-15 was $9,502. North Carolina State University forms part of the "Research Triangle," alongside Duke in Durham and UNC in Chapel Hill. Operating as a public research institution, the school provides educations for over 34,000 students at the bachelor’s to doctoral level. Nearly 273 degree programs are available, with top majors including engineering, business and management, biological and biomedical sciences, agriculture and social sciences. Both Princeton Review and USA Today ranks NCSU as 4th is Best Overall Public University Value. Despite being a larger public university, students enjoy a 17:1 student to faculty ratio, with 28% of classes holding fewer than 20 students. Almost half of students receive need-based financial aid if they are full-time undergraduates. In 2014-15, this amount averaged $9,581 annually. Columbus is home to Ohio State University, the third largest university in the nation. Founded in 1870, the university has grown to accommodate more than 64,000 students. In addition to academics, student life plays a vital role: there are over 1,000 organizations, clubs and recreation activities. The large campus is only two miles from downtown Columbus, providing students easy access to a buzzing city environment. Students have many degrees to select from, however the most popular majors are psychology, finance, speech communication and rhetoric, biology and marketing. U.S. News & World Report gave OSU the #16 slot for Best Public Universities. 74% of undergraduates elect to live off-campus in nearby Columbus. Although its one of the largest universities in the nation, the school maintains a low student to faculty ratio of 19:1. Of the 23 public universities comprising the California State University system, SDSU is the third-oldest and also one of the largest. Today’s student body is composed of 35,000 students enrolled in over 300 separate degree programs. Given its large size, the university is unable to accommodate all students in campus-based housing; however, 63% of freshmen live in university residences. The institution is considered selective and maintains an acceptance rate of 37.2%. As of 2013, the top majors were business and management, social sciences, psychology, health professions and homeland security. 54.8% of full-time undergraduates receive financial aid on a need-basis. The average scholarship or grant award is $10,000. Although a publicly funded research institution, the University of Washington has been dubbed a "public ivy," referring to its reputation for providing an education on par with those received at Ivy League institutions. Since being founded in 1861, UW has become a leader in postsecondary education and is considered to have one of the best medical schools in the world. Students consistently praise the university’s campus, which is situated on two bays with views of two different mountain ranges. U.S. News & World Report ranks UW #48 on their list of Best National Universities. The top undergraduate degrees are social sciences, biological and biomedical sciences, business and management, engineering and visual and performing arts. 41.8% of full-time undergrads qualify for need-based financial aid, with grant and scholarships averaging out to $14,000. Spread over nearly 1,200 acres, the University of California in San Diego is located in La Jolla near the coast of the Pacific Ocean. The current university has nearly 30,000 students, the majority of them undergraduates. In the 2013 admissions cycle, the school received over 72,000 freshman applications. The institution includes six undergraduate colleges, three graduate schools and two professional medical schools. The top undergraduate degrees include social sciences, engineering, biology, science/math, arts and humanities. In 2015, U.S. News & World Report ranked UCSD #18 in its list of Top World Universities. A total of 23,805 undergraduates attend UCSD, with 45% living in campus-owned accommodations. 60.7% of undergraduates attending full-time qualify for need-based aid, with the average scholarship or grant totaling $17,789 annually. Formed in the late 1800’s, the University of Tulsa occupies a beautiful 200-acre campus filled with both English Gothic style buildings and more modern architecture. Nearly 4,500 undergraduate and postgraduate students take advantage of nationally recognized programs in English, petroleum engineering, clinical and industrial psychology, computer science, natural sciences and engineering. Though Tulsa is nearby, 74% of all undergraduates elect to live in housing provided on-campus. 61.8% of all classes have fewer than 20 students, leading to an average student to faculty ratio of 11:1. U.S. News & World Report found the school tied for the #88 spot for Best National Universities. 91% of first-time freshmen decide to stay at UT after their first year of study. Located in the Eagle Rock neighborhood of Los Angeles, Occidental College is the oldest private liberal arts college in LA, having opened in 1887. The Carnegie Foundation for the Advancement of Teaching found the college to be a "community engagement institution," recognizing a high level of community service activities. Just over 2,100 undergraduates attend today, taking advantage of 31 majors. Recent top degrees include economics, international relations and affairs, biology and biological sciences, psychology and English language and literature. In 2014, the President’s Higher Education Community Service Honor Roll included OC on its list with distinction. U.S. News & World Report gave Occidental the #44 slot on its list of National Liberal Arts Colleges. Thanks to a close-knit community, 80% of all students choose to live in campus-owned or operated accommodation. The University of Minnesota Twin Cities is comprised of two campuses five miles apart, in both Minneapolis and St. Paul. Established in 1851, UMTC is the largest and oldest institution within the University of Minnesota system. The school has over 51,000 students enrolled at all academic levels across 19 colleges and schools. The most popular majors are the social sciences, engineering, business management, biological and biomedical sciences and psychology. The Center for Measuring University Performance ranked UMTC in the top 25 research universities in America. Thanks to the abundance of private accommodation in the area, 77% of undergraduate elect to live off-campus. Almost half of all full-time undergraduates qualify for need-based funding; in the 2014-15 academic year, grants or scholarships averaged out to $8,918. Operating as a member of the 23-school California State University system, CSU Long Beach is one of the largest universities in the state, with over 35,000 enrolled students. And with over 230 degree options, and programs going up to the doctoral level, students have access to excellent education and a beautiful, urban campus in the Los Altos neighborhood of Long Beach. A number of the university's programs are well regarded and popular among students; these include business management, communication and journalism, health professions, social sciences and visual and performing arts. Within the Best Regional Universities in the West category, U.S. News & World Report tied the institution in the #33 spot. Only 9% of students choose to live in university housing, with the majority instead electing to live in neighboring Long Beach and Los Angeles areas. Though one of the largest universities in California, student to faculty ratio remains low at 22:1. Operating as a member of the City University of New York system, Lehman Colleges caters to baccalaureate and postgraduate students from its Bronx-based campus. It is one of the newer schools on the list, founded in 1967. Today the college serves over 12,000 students with more than 90 programs and concentrations offered. The campus is peppered with both Gothic and Modern architecture and provides a seamless connection to the city streets surrounding the institution. The college maintains a 25.4% acceptance rate for freshmen, making it a highly selective institution. Over 80% of full-time undergrads receive need-based funding, with the average grant or scholarship award equaling $2,130 per academic year. Attention to every student is a hallmark of an LC education; the student to faculty rate sits at 15:1, while 45% of classes have fewer than 20 students. This private research university operates out of two campuses in the heart of Boston. The main campus is near Fenway Park, while the university medical center is located in South End amongst many other medical institutions. The Carnegie Classification of Institutions of Higher Education categorizes the school as an RUVH (very high research activity) research university. Top degree areas include business and management, social sciences, communication and journalism, health professions and biological and biomedical sciences. Times Higher Education ranks BU as the 57th best university in the world. In the current student body, there are students representing all 50 states and more than 130 countries. 40.3% of full-time freshman receive need-based funding; grant and scholarship awards average to $28,243. Although five miles from downtown Cleveland, Case Western Reserve University is situated in a part of town known as University Circle, a Mecca for other educational, cultural and medical institutions. The institution has a number of notable alumni, particularly in the technological and cyber security realms. The over 10,000 student most often gravitate toward degrees in bioengineering and biomedical engineering, biology and biological sciences, psychology, mechanical engineering and registered nursing. U.S. News & World Report gave it the #38 spot (tie) for Best National University in 2015. A 10:1 student to faculty ratio likely contributes to the 92.8% retention rate among freshmen students. Given its distance from Cleveland, 89% of undergraduates elect to live in campus-owned housing. Operating out of Atlanta, Spelman College is an exclusively female liberal arts college. The school has been a historically black institution since opening in 1881. Today the university serves approximately 2,200 undergraduates, with popular degree areas including psychology, biology and biological sciences, political science and government, English language and literature and economics. In addition to academics, the university is located minutes from downtown Atlanta, providing a wealth of business and leisure opportunities for students. 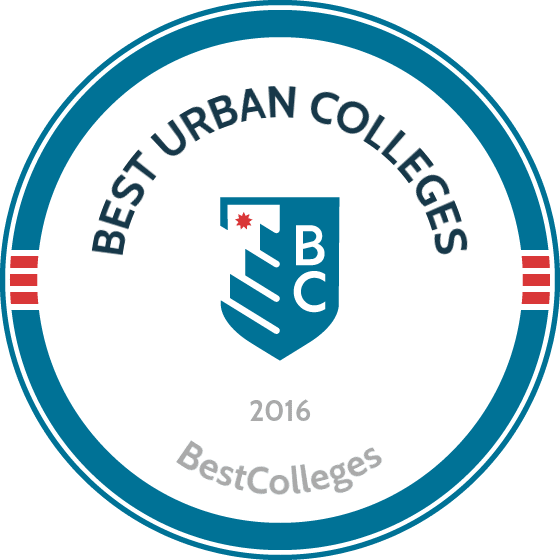 U.S. News & World Report ranked Spelman as the #1 Best Regional School in the South, and tied the school in the #81 spot for Best National Liberal Arts Colleges. Students receive lots of individualized attention at Spelman: the student to faculty ratio is 10:1, leading to an 88.8% retention rate among freshmen. In 2014-15, 82% of full-time students received need based funding, averaging $13,427 per student, per year. Founded in 1964 as the only liberal arts college focused on criminal justice and forensic-related topics, John Jay College has developed a reputation for being a leader in the field. The college is part of the City University of New York system and is located in the Midtown area of Manhattan. Over 13,000 undergraduates and 2,000 postgrads call John Jay home, taking advantage of both the urban setting and popular degrees in criminal justice and law enforcement administration, forensic psychology, social sciences, legal students and English language and literature. U.S. News & World Report gave JJCCJ the #122 spot for Best Regional Universities in the North, while ranking its Criminal Justice program 10th nationally. Over 68% of full-time baccalaureate students receive financial aid; the average scholarship or grant award totals $2,954. The average retention rate for freshmen is 77.8%. Located in northwest D.C. in the Spring Valley neighborhood, the nearly 13,000 students enrolled at American University are truly in the heart of our nation’s capital. The university is surrounded by affluent neighborhoods, leading many students to take advantage of more affordable student housing. The school is considered highly selective, with 35% of first-time freshmen admitted in 2015. Once enrolled, the top undergraduate degrees include international relations and affairs, business administration and management, political science and government, mass communication and criminal justice. The Princeton Review ranks American as the 10th most politically active campus in the nation. Over half of full-time undergrads receive need-based financial aid, with scholarship or grant awards averaging $21,080 annually. Nearly 90% of freshmen elect to continue into their sophomore year at American, thanks in part to a student to faculty ratio of 12:1. Operating as a member of the City University of New York system, Hunter College is based out of the Upper East Side of Manhattan and caters to both undergraduate and graduate students. The school has been in operation since 1870, with its main campus located on Park Avenue. The college is highly selective: in the most recent admissions cycle, 25.1% of hopefuls were admitted. Once enrolled, students can take advantage of over 150 degree programs, including popular studies in psychology, social sciences, English language and literature, health professions and visual and performing arts. U.S. News & World Report ranks Hunter as the #50 Best Regional University in the North. Nearly 78% of full-time undergraduates qualify for financial aid; those receiving need-based scholarships or grants receive an average of $6,547 per academic year. Located in the heart of Bean Town, Emerson is unique in its exclusive offering of degrees focused on arts and communication, taught within a liberal arts context. The college has over 35 degree available at the undergraduate and postgraduate levels, with popular programs available in creative writing, cinematography and film/video production, marketing and marketing management, radio and television and broadcast journalism. Students can take advantage of all Boston has to offer, including the many cultural and historic parts of the university’s Back Bay neighborhood. Despite a very concentrated area of study, U.S. News & World Report named Emerson as the 14th Best Regional University in the North for 2015. Nearly 88% of first-time freshmen continue into their second year at Emerson; low student to faculty ratios and small classes likely contribute to this high percentage. The average amount of grant or scholarship aid for 2014-15 was $17,831. Nearly 54% of full-time undergraduates qualified for need-based aid. First opening its doors in 1787, it’s no wonder the University of Pittsburgh is in Oakland, one of the most historic neighborhoods of Pittsburgh. The campus is peppered with Greek revival, Italian Renaissance, Neogothic and modern architecture, giving students a truly immersive, urban environment for study. The campus is also within walking distance of many cultural activities, including the main branch of the Carnegie Public Library. Nearly 30,000 baccalaureate and post-grad students are currently enrolled; the top five majors include business and management, social sciences, health professions, engineering and English language and literature. Of the 18,000+ undergraduates, 44% elect to live in campus-owned or affiliated housing. U.S. News & World Report gave Pitt the #62 slot for Best National Universities in 2015. Despite its large size, 41.1% of classes have fewer than 20 students, leading to a 91.5% retention rate among freshmen. Operating as one of the younger institutions on this list, the University of New Orleans has been around since 1958. It is located on the lakefront in New Orleans, providing students with a variety of professional, cultural and historical opportunities. Today, nearly 10,000 students are enrolled in five colleges; top degrees include business and management, engineering, visual and performing arts, interdisciplinary studies and biological and biomedical sciences. In addition to academics, UNO also has over 120 student clubs and organizations, including a vibrant Greek life. Thanks to abundant private accommodation around the city, only 10% of students live in university-owned housing. Almost 70% of all full-time undergraduates receive need-based funding; in the most recent academic year, this averaged $5,438 in grant and scholarship awards. Nearly 66% of freshman elect to continue at UNO after their first year of study. Students at Lipscomb have access to a thriving and culturally vibrant city, with the campus sitting just minutes from popular areas like Belmont, 12 South and Hillsboro Village. The university provides a distinctly Christian education and is affiliated with the Church of Christ. Top undergraduate majors are business, management and marketing, biological and biomedical sciences, education and psychology. There are currently over 4,500 students enrolled, with the majority studying at the undergraduate level. U.S. News & World Report ranks Lipscomb as the 18th Best Regional University in the South. Given its small size, classes are able to be kept small: 53.8% have fewer than 20 students, while the student to faculty ratio holds at 12:1. As of 2014-15, approximately 52% of students elect to live in campus-owned or affiliated housing. Rhodes College is located in the Midtown neighborhood of Memphis and is a campus that always draws admiration. Filled with Gothic architecture, many of the buildings are listed on the National Register of Historic Places. The school is minutes away from many notable sites in Memphis, providing a rich urban learning environment for the college’s 1,800 enrolled students. Current students hail from 46 states and 10 countries, while 20% of students identify as a racial minority. Rhodes alumni applying to law and business postgraduate programs have an average acceptance rate of 95%. Acceptance into medical schools as a Rhodes alumnus is nearly twice the national average. U.S. News & World Report ranks Rhodes the 54th Best National Liberal Arts College. Thanks to the beautiful campus and historic structures, nearly 70% of students elect to live in on-campus accommodations. Located less than two miles from Philadelphia’s business district, students at Temple University have many opportunities to gain real-world experience during their educations. The university is recognized for graduating one of the largest numbers of professional practitioners in the country, and many potential students are drawn to the university both for its academics and its location. Over 38,000 students are enrolled in more than 400 degree programs. The top five undergraduate majors are business and management, communication and journalism, visual and performing arts, psychology and health professions. The university has a program allowing incoming students to pick their own rooms and find roommates through online social media rather than being assigned housing. 18% of students elect to live on campus. The National Science Foundation ranked Temple 94th out of nearly 650 institutions in a 2013 study on research and development within higher education. 70.2% of undergraduates studying full-time qualify for need-based funding; in the most recent academic year, the average award was $6,309. Located in downtown Atlanta, Georgia State is one of four research universities comprising the University System of Georgia. This public research institution is home to over 32,000 students, of whom over two-thirds are undergraduates. Over 250 programs are offered, with a sizable concentration of students enrolled in business, social sciences, psychology, education and visual and performing arts. The school is in the heart of downtown, providing excellent personal and professional opportunities for students. After the Atlanta Olympics, the school took over the athletic housing complex, which is now used as student accommodation. 17% of the student body takes advantage of this space along with other campus-owned housing. Despite being a larger public institution, the student to faculty ratio remains low at 22:1. Texas Christian serves nearly 10,00 students from its campus based three miles from downtown Fort Worth. Operating as a private university, the university provides educations for a largely undergraduate population, with select postgraduate programs also available. As the name implies, the curriculum is rooted in biblically based teaching, with top degrees being business and management, communication and journalism, health professions, social sciences and education. The university maintains a selective enrollment, with an acceptance rate of 37%. U.S. News & World Report ranks TCU the 76th Best National University for 2015. Because the university is a few miles from Fort Worth, 48% of students live in campus-owned or affiliated housing. Over 88% of freshmen students decide to continue at TCU for their sophomore year, thanks in part to a low student to faculty ratio of 31:1. Operating as a public research university in Greensboro, NCATSU started as a historically black college, and remains the largest institution of this type in the nation. Today over 10,000 undergraduate and postgraduate students take up degrees in more than 200 different programs. The campus is located just nine blocks from downtown Greensboro, providing easy access to the thriving business and cultural areas of the city. The institution is considered less selective, with an acceptance rate of 56%. Top undergraduate programs include engineering, business and management, psychology, communication and journalism and liberal arts and sciences. 44% of students elect to live in campus-owned housing, while the remainder find accommodation throughout Greensboro. Operating as part of the State University System of Florida, USF is the fourth largest publicly funded university in the state, with nearly 50,000 students enrolled in baccalaureate and postgraduate studies. The campus is in the heart of Tampa, containing 14 colleges; it is also the campus within the USF system that grants doctoral degrees. The top five undergraduate degrees are finance, criminology, registered nursing, medical microbiology and bacteriology and psychology. Thanks to a large selection of private accommodation around the campus, only 24% of the student body live in campus-owned housing. 72% of all full-time undergraduates qualify for need-based funding; in the most recent academic year, this averaged out to $5,979. Brooklyn College is a member of the City University of New York (CUNY) system and is headquartered in downtown Brooklyn. The campus has been rated one of the nation's most beautiful postsecondary educational sites thanks to a mix of historic and modern buildings. The school is also well regarded for its academic offerings: top degree programs include business administration and management, psychology, accounting, early childhood education and elementary education. Within the CUNY system, Brooklyn College is known for having the most rigorous academic programs. U.S. News & World Report ranks BC as the 70th best Regional University in the North. The institution is known for being very student-centered. In addition to more than 140 student organizations and clubs, the student to faculty ratio of 16:1 ensures individualized educations. 78% of undergraduates studying full-time qualify for financial assistance; in 2014-15, this amount averaged $3,400 annually. What are the benefits of an urban school? Depending on the major students intend to pursue, urban colleges can provide unique and significant benefits. In addition to serving as gateways to cultural, historical and commercial hubs, many urban schools are able to offer their students access to high-powered internships and opportunities for networking and post-graduation employment. Urban schools also offer easy access to activities and events taking place in large cities. Students without cars are also drawn to urban settings, as they can take advantage of public transportation. Key things to consider with urban schools? Traditionally, there are two types of urban schools: self-contained and interspersed. Self-contained campuses are often within or nearby a large city, but remain separate from the actual hustle and bustle of the metropolitan area. Conversely, many schools are woven into the very fabric of the city, providing less of a traditional college experience but higher access to metropolitan life. Before committing to any higher education institution, prospective students should visit the campus to learn both about academics and campus settings. Who might want to attend an urban school? Students seeking arts and science and business degrees in particular are often drawn to urban postsecondary institutions, as they will be placed in the center of the worlds they are hoping to work in once completing their degree. Access to internships, volunteer opportunities and residencies are key when trying to secure a job out of college, and metropolitan universities provide easy access to these extracurriculars.